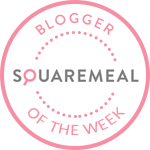 Emily's Recipes and Reviews | UK Food Blog | Leicestershire : bakewell mess. Yes it's another Bakewell tart inspired recipe again! Given the Summer season and Wimbledon this week, it seemed apt to try out an eton mess with a twist. This cherry Bakewell eton mess is made with almond infused whipped cream, homemade cherry and raspberry sauce, flaked almonds and... a cherry on top! Equipment; four clear serving glasses, electric whisk. Step one. Remove the stalks and stones from the cherries. Add the cherries and raspberries to a small saucepan on a low heat. Step two. Add in the sugar and a dash of water. Cook together on a low heat for 5-10 minutes until reduced to a sauce. Set aside. Step three. Whisk up your double cream and almond essence on a high speed until whipped. Step four. Crush your meringue and scatter into the cream. Step five. Layer up your eton mess with the cream, cherry and raspberry sauce and flaked almonds. Do worry how it looks - it's okay to be messy! Step six. Finish with a scattering of extra almonds and that all important cherry! You may remember my Domu challenge number one to create a recipe with an ingredient I haven't used before. Well the second challenge was to create a classic recipe with a twist. If a recipe has a twist, you can bet that I'll be adding some kind of Bakewell spin to it. They sent me one of their VonShef Stand Mixers (RRP £75.99) to help along with the recipe - a lovely cherry red! The mixer had a great whisk attachment which was perfect for whipping up cream. I would definitely recommend to those thinking of getting a KitchenAid stand mixer or similar - so far so good on the attachment side of things and pulse button. Plus there are settings especially for mixing egg or flour to create the ultimate foolproof sponge. Note: I was sent a stand mixer from Domu for this post. Recipe and opinions are my own. What a stunning idea! I have a cherry tree laden with fruit and some bargain-bin meringue nests in the the cupboard so think we'll be trying these over the weekend! Thanks for sharing, another great recipe. Your Bakewell mess looks soooo good! Nothing compares to cherry and almond, love this flavour combination. Oh my goodness, I'm now craving Eton Mess or better still your version - sounds wonderful. Cherry and almond is a well deserved classic combination. Thanks for linking to one of my recipes. Love the look of that red mixer too. I got some Kirsch infused cherries at Christmas and they have been sitting in my fridge all year and I just didn't know what to do with them. I think they'd be perfect for this recipe!